Entertainment Marketing is one of the fastest growing elements within the marketing mix of today’s forward thinking companies. It helps create an emotional connection with your target audiences, keeping your brand relevant and at the forefront of consumers thoughts. However, unfortunately it tends to reside in parts within select advertising agencies, media agencies, promotions agencies and design related organisations. At the PR Entertainment Group, we bring together the collective experiences and hard work of our people who come from a wide range of professional backgrounds and whom we believe to be our most valuable assets. The work we do within the world’s most entertaining environments creates fantastic communication and Public Relationship opportunities for our corporate clients, city and event partners and of course enhanced access to world class entertainment for the general public, our audience! The key to successful entertainment marketing programs lies in the relevance and connection between the brand and the entertainment proposition your target audience is looking for. We focus on connecting clients’ brands to content and programming that makes the most sense for the brands positioning and growth, and developing ideas and opportunities for integrating the brand within the infinite world of entertainment. We deliver an exciting array of entertainment-driven and subsidiary events, including event launches, product launches, media events, and deliver strong product and branded messaging within top entertainment media platforms. Our expertise and capacity enables us to offer deep-rooted relationships within the film, music and sport’s industries. We harnesses the reach and power of quality entertainment to engage consumers. We help our clients develop high-impact entertainment marketing programs that drive sales and generate positive brand exposure and penetration. Pop Republic Entertainment functioned as co-organisers of the world famous Live Earth – Run for water project (Berlin). The ‘Dow Live Earth Run for Water’ is a series of 6 km run/walks (the average distance many women and children walk every day to get water) that will culminate in a water education village taking place on April 18th to raise awareness and funds to help solve the global water crisis. Ten percent of all registration fees went directly to Arche Nova, the designated local water charity. Water scarcity is an issue affecting countries, communities and families all over the world. One in eight people don’t have access to safe, clean drinking water. Eighty-eight percent of diarrheal cases worldwide are linked to inadequate and unsafe water. These cases result in 1.5 million deaths each year, mostly among children under five. In these areas, women and children are forced to walk 6 km (3.7 miles) each day to secure water that is likely unsuitable for drinking. The Dow Live Earth Run for Water is a global movement focused on the actions individuals can take to effectively address the issue. People are encouraged to START solving the problem today, RUN in a Dow Live Earth Run for Water run/walk in their community or organize their own run/walk through the Friends of Live Earth program, SAVE water in their home and local community through conservation efforts, GIVE money to support clean, safe water projects and speak up by signing the Live Earth petition to add water as a basic human right to the U.N. Declaration of Human Rights. Rather than a traditional Expo Village, The Dow Live Earth Run for Water featured a “Water Village” at the start/finish and specific guidelines to ensure consistency of implementation across our global event locations, including consistency to attendees. Incentives were created for participants to engage with the exhibits and spend time at the Water Village. 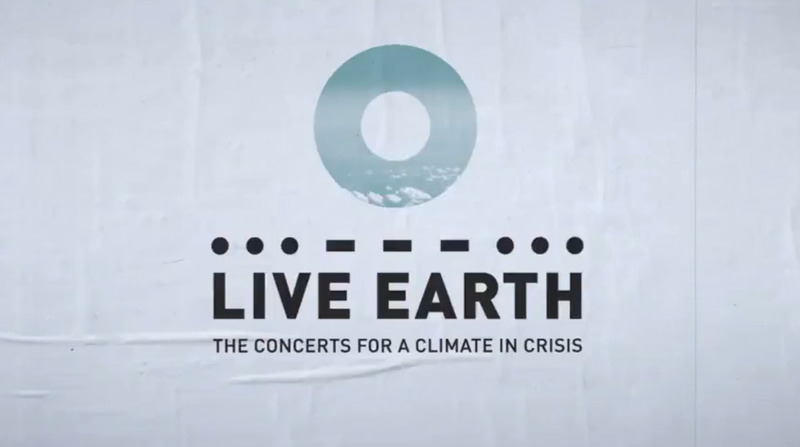 PR Entertainment coordinated and managed the production of a Water Village event in partnership with Live Earth Organisers in Los Angeles. Worked with Live Earth “Greening” consultants to ensure the most sustainable activation possible.